On June 14, 2013, video game developer Naughty Dog released The Last of Us, which is so far widely considered their magnum opus that introduced players to a horrific future America consumed by mushroom encrusted zombies. Gamers continue to discuss and praise the 2013 masterpiece for its gripping narrative, fluid game play, the cinematic visual and sound design, and its depiction of LGBT and strong female characters. One particular character that helped The Last of Us to earn its praise as “one of the greatest video games of all time”, was the young female protagonist named Ellie. Ellen Page’s statement about Naughty Dog “ripping off her likeness” was a clear attack on Naughty Dog, but introduces an interesting I.P. question. If a celebrity felt a company or group “ripped off” their likeness, what legal action could they take? In intellectual property law, “a right of publicity is the right [of a person] to control the commercial value of [his or her] name, likeness, voice, signature, or other personal identifying traits that are unique to [him or her].” Most states recognize the right of publicity, some states recognize a post-mortem right and some only recognize celebrity rights; for celebrities like Page, their identity is more than just who they are, it is a multi-million dollar asset that makes up their livelihood. The Ninth Circuit in 1988 ruled in favor of Bette Midler after she sued the Ford Motor Co. for using a similar sounding singer in their commercials to make it sound like Midler was singing for their commercial after she declined. The court determined that Midler’s voice was hers to control and Ford had no right to use or replicate it without her permission. A major limitation on the right of publicity is the First Amendment, which protects the freedom of speech. If a court finds the expression of the license to contain an artistic expression or is a newsworthy material, then the First Amendment would protect that expression. Page could have tried to bring an action against Naughty Dog, because like Ford using similar voices for the singing in their commercial to sound like Bette Midler, Naughty Dog had a character with very similar features, mannerisms and vocal pattern to Page. 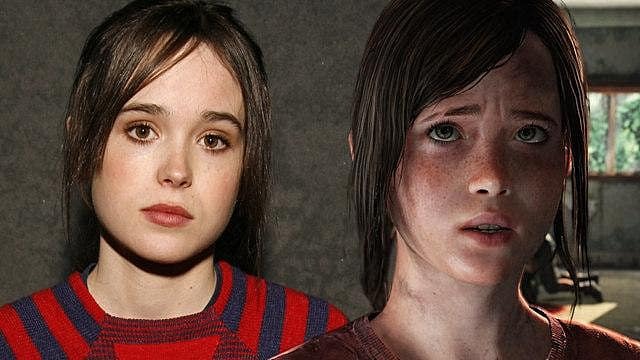 However, after a redesign before the release of the game, Naughty Dog made a statement that the redesign of the nose and removal of freckles was made to make Ellie look more similar to her vocal actress Ashley Johnson. This statement, if seen by a court in a proceeding, may be enough to convince the court that no violation on Page’s right of publicity was made. It is unlikely a court would have honored Page’s claim, but the eeriness between Ellie and Ellen does make one wonder what could have been if Page had taken action. With recent trailer releases at the end of 2016, fans of The Last of Us are currently looking forward to the 2018 release of The Last of Us Part II, which means being reunited with the series’ heroes Joel and Ellie, who fans have pointed out appears to have aged a few years and, perhaps coincidentally, looks significantly less like Page this time around.